Living in the tropics carries with it the responsibility of always being prepared for tropical storms and cyclones. Get Ready Queensland promote the importance of preparation and encourage residents to prepare for natural disasters and emergencies. The following fact sheets will assist you in preparing for a disaster or emergency event. 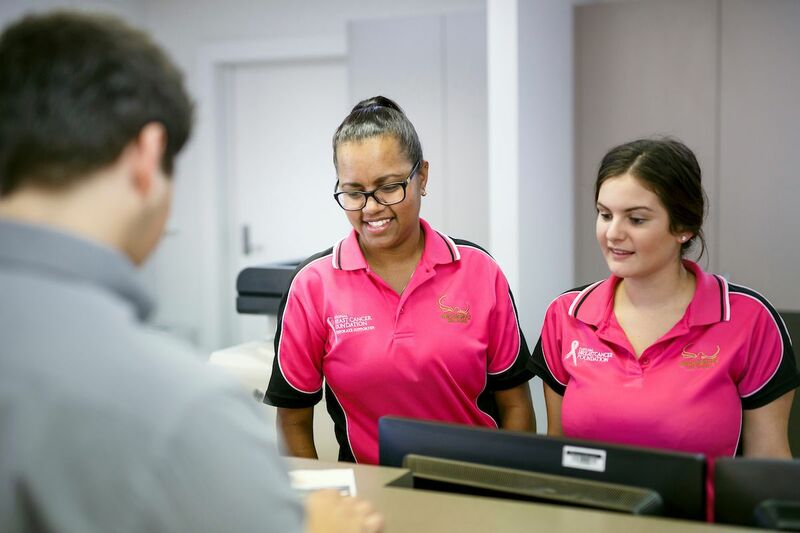 To view the below fact sheets in languages other than English, click here to visit the Get Ready Queensland website. Clean up the yard. Clear away all loose material, as it could blow about and possible cause injury or damage. Visit the Waste Facilities page for opening hours and other details. If you know that your property is isolated during a flood event, you should have enough food, water, fuel and medications stored prior to an event that will last three to four days at minimum. You have a fundamental responsibility to help your self and your family and you can fulfill this obligation by being well prepared. Resupply is the supply of essential goods to individuals who are isolated from retail facilities due to normal transport routes being inoperable as a result of a natural event or events. Isolated rural properties may include primary producers and smaller towns or outstations that cannot access retail facilities in order to maintain sufficient levels of essential goods. In order for the process of re-supply to meet your needs, you must determine your essential food requirements for the week/fortnight, seven (7) days in advance. The State government has introduced a policy to resupply those isolated during times of natural disaster. For more information on how to be prepared if you are isolated during flood events click here. Unless advised otherwise, remember that the safest shelter is in your home. 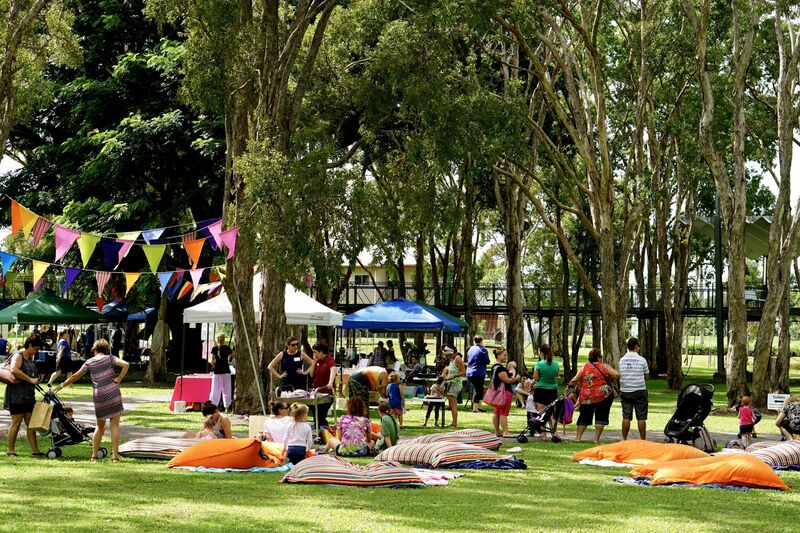 Be aware of shelter and evacuation options for residents in the Hinchinbrook Shire. 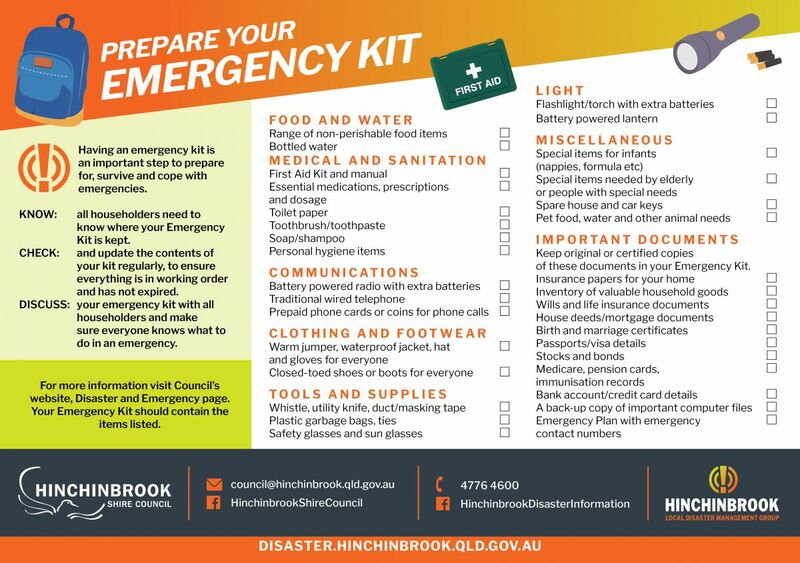 The Hinchinbrook Shire Council ‘Emergency Pantry List’ provides residents with important information and advice on how to ensure your household has an adequate supply of food, water and essential items to cope with a prolonged emergency situation. Preparing for emergencies ensures that you and your family can manage if affected by a cyclone or flood – it’s the smart thing to do! Download your copy of the Emergency Pantry List here. Click on the button below to play the Disaster Ready Game.